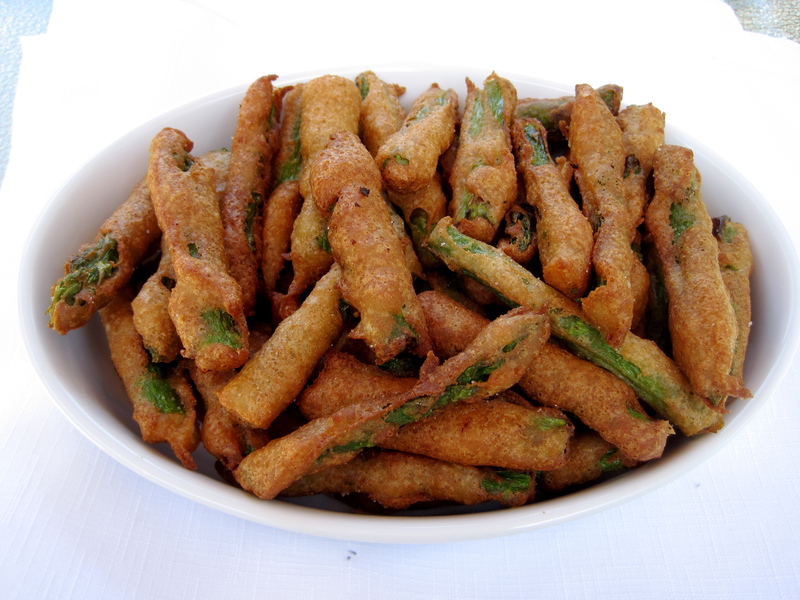 A simple recipe for beer-battered asparagus with a quick flour mix that would work well for any deep-frying.Though I never bake with rice flour, it provides a tempura-like lightness to deep-frying that works really well. Wash the asparagus and cut off the woody ends. 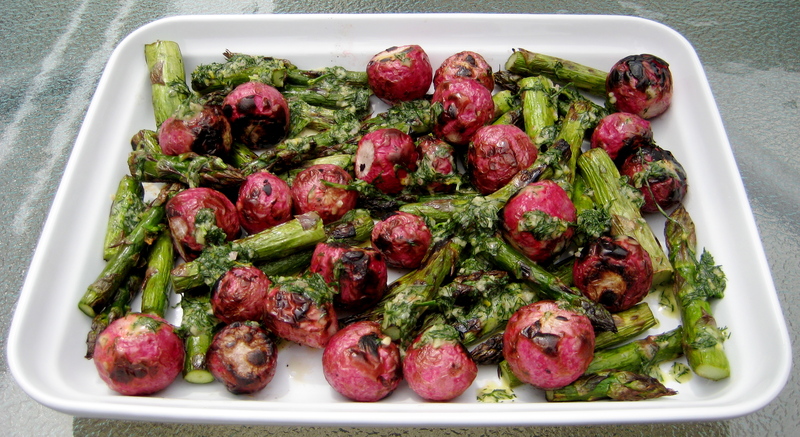 Cut the asparagus into three-inch pieces. Dry thoroughly. Whisk together the sorghum flour, quinoa flour, sweet rice flour, xanthan gum, lemon zest, garlic powder, salt and paprika. Stir in the beer, mix until combined. Put the oil in a medium-sized saucepan and attach a thermometer. The oil should be about three to four inches high. Heat until it reaches approximately 375°F (190°C). 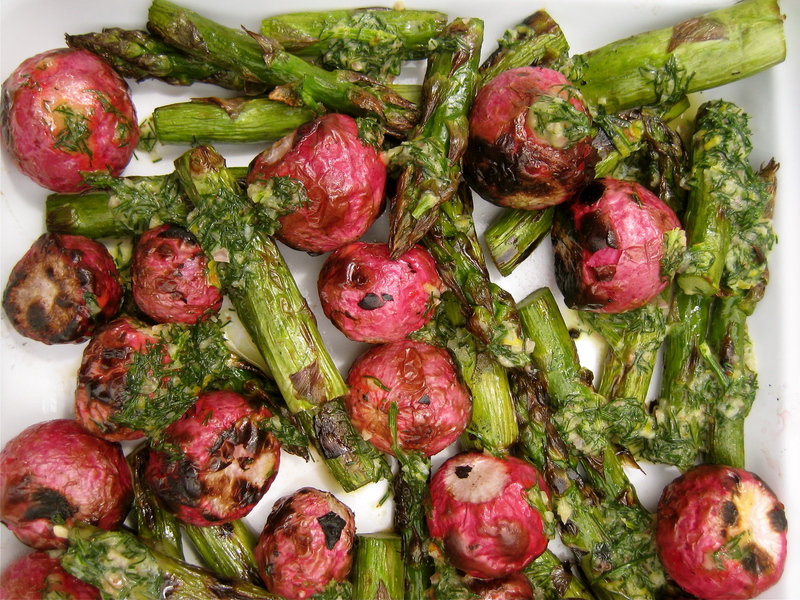 Dip the asparagus in the batter (coating completely isn’t necessary). Gently insert the asparagus (about six at a time, depending on the size of your pan) in the saucepan and fry, about two to three minutes, until golden brown. Use a slotted spoon to transfer the asparagus to paper towels to drain. 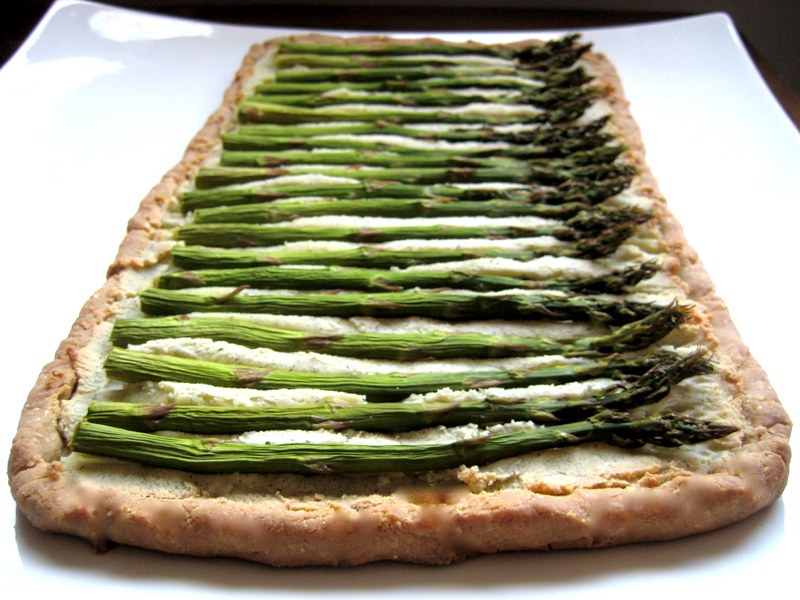 Sprinkle with salt.Continue with the remaining asparagus. Serve warm.